Suspension from an international organization is never a decision that is made lightly or without great introspection. The decision to suspend one’s membership indicates that a member state has been unable to express its needs adequately in the organization. In this situation, suspension serves as a last resort of the respective member state. The principle of suspension of the operation of a treaty under a silent instrument is enshrined in the Vienna Convention of the Law of Treaties of 1969 as well as in Article 60(2) (b) of the Law of Treaties between States and International Organizations and International Organizations of 1986. According to the said article, a state which is specifically affected by the decision is justified to suspend the operation of the treaty if the organization or one of state party is in material breach of the object and purpose of the constituent instrument. This act was also in violation of other relevant legal obligations in force, inter alia, the UN Charter, AU Constituent Act and UN Security Council Resolution 1725/2006 in particular, which clearly prohibited military intervention by neighboring states. Consequently, the Government of the State of Eritrea notified the Executive Secretary of its decision to suspend its membership for this reason. It was based on these legal and sound grounds that the State of Eritrea suspended its membership from IGAD until such time that it deemed appropriate to return and resume its work within the organization. There is no article or clause that restricts a member state from temporarily suspending or reactivating its membership. Eritrea suspended its membership; it did not withdraw its membership. Therefore, since Eritrea is not a new member, or one seeking re-admission, it would not be subject to the rules and regulations governing new members or those seeking re-admission. 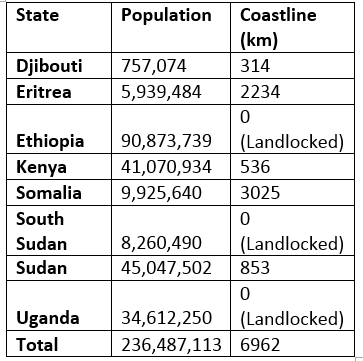 IGAD’s continued engagement with Eritrea is further testament of this fact. On 14 June 2008, a year and five months after Eritrea’s notification of suspension of Eritrea from IGAD, at the 12th Summit of Heads of State and Government of IGAD in Addis Ababa, Ethiopia, a decision was made to send a Ministerial Delegation to Eritrea. Subsequently, a delegation led by Moses Wetangula, Kenya’s Foreign Minister accompanied by Deng Alor, Sudans’s Minister of Foreign Affairs and Mahboub Maalim, the Executive Secretary of IGAD visited Eritrea on 14-15 August 2008. The Secretariat had officially invited Eritrea to participate in a technical meeting organized by IGAD and WMO to introduce and discuss the IGAD-HYCOs implementation that was scheduled to take place in Nairobi, Kenya from 23-24 August 2011. Eritrea decided to re-activate its membership effective 25th July 2011. Eritrea’s temporary suspension was never a renunciation of Eritrea’s membership in IGAD; it was rather, a considered decision made in protest of IGAD’s endorsement of Ethiopia’s invasion and occupation of Somalia in violation of UN Security Council resolutions as well as IGAD’s own resolution on Somalia. Eritrea is not the first, nor will Eritrea be the last country to suspend its membership from an international or regional organization. Finally, any attempt by any member state to deny Eritrea the right to full membership in IGAD is a violation of IGAD’s own rules. This entry was posted in Uncategorized and tagged Africa, Algiers Agreement, Eritrea Ethiopia Border Commission, Eritrea-Ethiopia Boundary Commission, Eritrean community, IGAD, International Organizations, Kenya, Regional Organizations, Somalia, South Sudan, Sudan. Bookmark the permalink.